From Dameling, this is Danielle's book that was part of our third book swap. 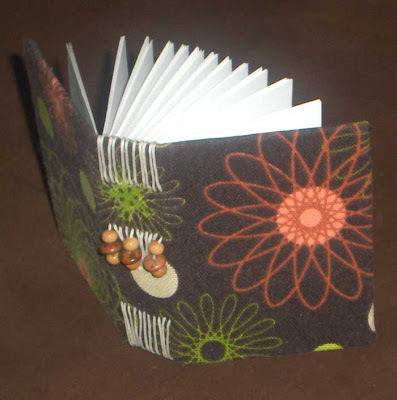 This book has a great spirograph print fabric on the covers. 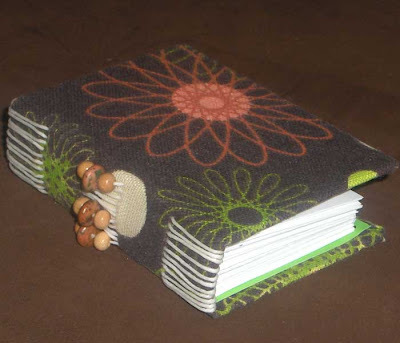 The pages are bound using a longstitch binding, accented with little wooden beads on the spine. Check out Dameling.Etsy.com to see more of Danielle's books. See all the books from Book Swap #3.